We verified that our app does not work properly on iOS 10 at this moment. We will release iOS 10 compatible version soon. Thank you for your patience. 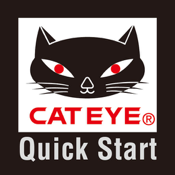 This Quick Start provides information on how to prepare the CATEYE Q Series with dedicated chapters such as Setting up the computer, How to install the sensor.